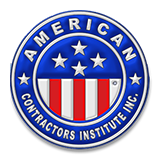 The American Contractors Institute is a private post secondary educational institution in Nevada that provides contractor examination training to students who want to take and pass the contractor examinations. Our online courses provide you with 24 hour access, all updates and the convenience to study when and where you’d like. We also offer assistance with California and Arizona licensing and company formation. Our institute offers our students access to the most current test material and also offers a contractor library with an extensive collection of construction-related books and reference materials. Nevada has 37 specialty classifications and various sub-classifications that cover all phases of the specialized building trades. For a complete list of the classifications and their respective descriptions, please visit the Nevada State Contractors Board website at nscb.state.nv.us. Not all classifications have a trade test, but the Nevada Construction & Business Law exam is required for every license. Students receive test taking tips and practice examinations that simulate the testing environment the student will experience at the state’s testing facility. Students are exposed to industry standards and techniques applicable to reading plans and specifications, industry codes and estimating, which will be relevant to the particular contractor license examination required by the Nevada State Contractors Board. All courses are available online. The Nevada Construction Management Survey course includes Nevada contractor license law, state regulations, safety, scheduling, estimating, project management, lien laws, insurance and bonding. The Nevada trade courses include: Genteral Engineering, General Building, Electrical, Paving, Carpentry, Painting, Roofing and Siding, Plumbing and Heating, Concrete, Landscaping, Masonry, Refrigeration & HVAC, Lathing and Plastering, Sheet Metal, Signs, Steel Reinforcing and Erecting, Industrial Piping, Tile, Sewage Drains and Pipes, Lines to Transmit Electricity, and Commercial and Residential Pool. 1. Provide evidence of at least four (4) years experience as a journeyman, foreman, supervising employee or contractor in your respective trade(s). 2. The four (4) years of experience have to have been obtained within the past ten years. 3. Additionally, an applicant must be at least 18 years of age to apply for a contractor’s license. All contractors in the State of Nevada require worker’s Compensation. If you are caught working without worker’s compensation, the Contractor’s Board and the State of Nevada Division of Industrial Insurance will fine you. These fines can be quite severe and in most cases the policy premium is cheaper than the fines. Law in the State of Nevada does not require general Liability, but if you are doing work for a General Contractor you will be required to have coverage in place. Liability insurance protects against possible losses caused by workplace errors, as well as errors arising from the actions of your employees. The General Liability will cover this expense up to the policy limit. American Contractors Institute offers competitive rates for both General Liability and Worker’s Compensation insurance for start-up and established contractors. For a free quote, please complete the liability questionnaire and fax or scan back to us. The respective State Licensing Board requires contractors license bonds in Nevada and California. An active bond with an “A” rating must be in place to keep the contractor’s license in active status. The license bond protects the state and is a third party surety bond. In Nevada, the Contractors’ Board sets the bond amount based on the license limitation. The bond and limitation can be increased providing the contractor’s financials can support a higher limit. Bond premiums are based on the principle contractor’s credit and are renewed yearly. California requires most contractors to carry a $12,500 surety bond and there is no limitation to the license. The bond may be attached for poor workmanship and/or failure to complete a contract. A supplier, customer or other contractor can place a claim against your bond. If the surety pays out on the bond, the contractor will need to pay the surety back, pay any fines, attorney fees and supply a new bond to the contractors board to continue doing business in their respective state. If the surety pays out on a bond, you may not be able to get a surety to write another bond for you and this could possibly put you out of business. Contractors may also be required to obtain a Payment & Performance bond for a specific job. In Nevada, any Government work over $25,000 requires a P&P bond. These bonds are in addition to the Contractors License Bond and are solely for the project requiring the bond. Payment and Performance bonds are underwritten differently than license bonds and require a separate application; financial and stricter underwriting guidelines are followed. The P&P bond is for the full amount of the job that you are bidding.The bid bond is the included in your sealed bid and if you are the low bidder, this bond guarantees the amount you stated in your bid. If you are unable to honor that bid for some unforeseen reason, penalties will apply. American Contractors Institute offers business consulting, company formation and filing for those desiring to start their own contracting business. ACI will set up your Corporation, LLC, or Partnership, and will have your entity filed within 24 hours, (not including foreign corporations). Additionally, we will file your Initial List of Officers, obtain and register your EIN number with the IRS and order your Company book, seal and certificates. © Copyright American Contractors Institute 2018 | All rights reserved.